Do you have a plan for keeping your animals safe in an emergency? A recently completed US$120M expansion to operations at Newmont’s Tanami gold mine is expected to produce up to an additional 80,000oz of gold per year. The final stage of rehabilitation planning for the former Rum Jungle mine site near Batchelor is now underway. The season’s first shipment of Territory mangoes to be exported to the United States (US) has been trucked out of Darwin. 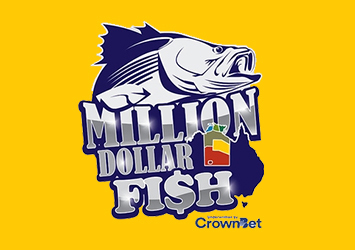 Season three of the Territory’s iconic Million Dollar Fish competition is now underway. Northern Territory seafood businesses took out three categories at the 2017 National Seafood Industry Awards, presented in Sydney on Thursday 28 September. The mining industry is an important contributor to the Northern Territory economy. A new mud crab harvest strategy has been released to ensure the long-term sustainability of the resource for all Territorians. Humpty Doo Barramundi (HDB) has become the first aquaculture facility in the Northern Territory to achieve Best Aquaculture Practices (BAP) certification, which recognises socially responsible and environmentally sustainable aquaculture.